This is a fabulous bar chair from the Nuevo collection, it's created out of an ABS plastic for a durable, lightweight feel. 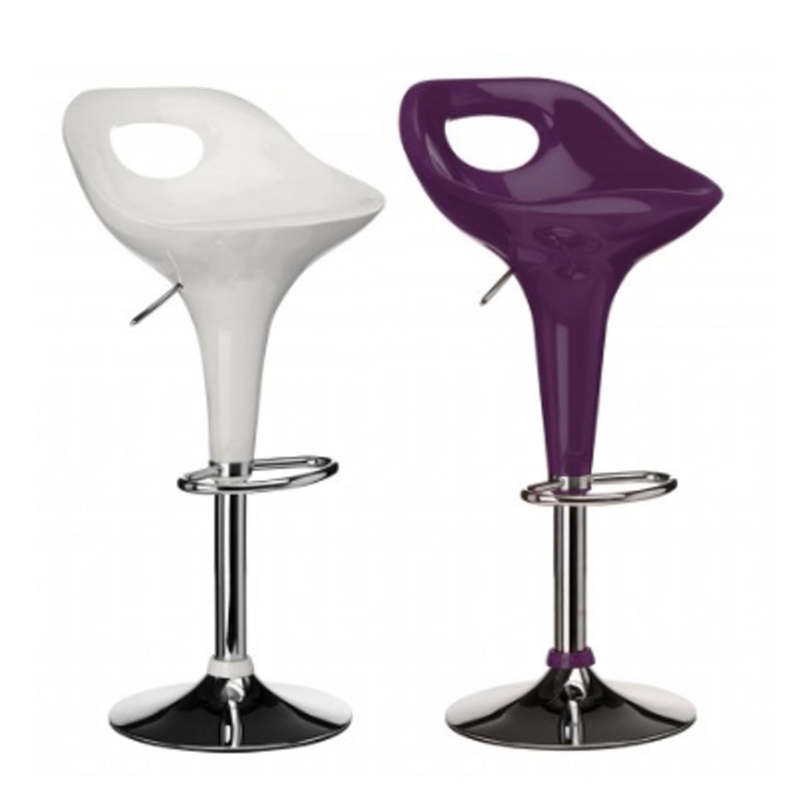 This bar chair is as comfortable as it is stylish, with its gorgeous curves its sure to be a nice seat to sit on. These curves also add to the modern and contemporary style. This bar chair also has a sturdy metal base, adjustable seat height and a footrest.